Why are clean drains so important? Learn why here! When was the last time that you cleaned the drains in your home? No, not the kitchen drain, the bathroom sink drain, or even the shower drain—the sewer drains! Whether or not you realize it, clean drains are a great way to maximize your sewer’s efficiency and have a cleaner environment. If you have clean drains, you won’t need to worry about blockages slowly accumulating in your pipes. A small blockage can be a hassle on a daily basis but can turn into a nightmare when family comes over for the holidays and the sewer in your yard begins to make itself known! 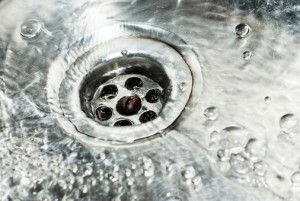 Regular drain cleaning can prevent a nasty backup in the future and prevent costly plumbing repairs. Chances are, you know what a sewer smells like. If you don’t, just imagine a very unpleasant smell that you will never forget. The odor of a sewer can be impossible to get rid of once it appears, but clean drains can help prevent the odor from permeating your home. If the p-traps that are in your home are starting to smell or there is an odd odor in the room that they are in, a professional drain cleaning will go a long way. If you have clean drains in your home, it is an easy way to keep your family happier and healthier. If drains are professional cleaned to remove odors, build up, and any blockages, you will spend much less time worrying about the potential for a backup. If your sewer does back up, it could lead to an overflow in your home and major disaster (and expensive clean up). The last thing you want is a basement flooded with sewage, so take the time and money in advance to have your sewer drains professionally cleaned. Ready for Professionally Cleaned Drains Throughout Your Home? Give Master Plumbing a call at (301) 650-9100 or contact us online to get more information on how our expert plumbers can help you with your drain cleaning project (or just about anything else plumbing related!). We have received Angie’s List Super Service Award recognition for plumbing and drain cleaning every year since 2007, in addition to the Best Plumber award from Best of Bethesda. We are fully licensed, bonded, and insured and our service is unparalleled. Give us a call today—you won’t regret it! To see examples of our projects, follow us on Facebook, Twitter, and Pinterest. This entry was posted on Thursday, December 22nd, 2016 at 7:31 pm. Both comments and pings are currently closed.